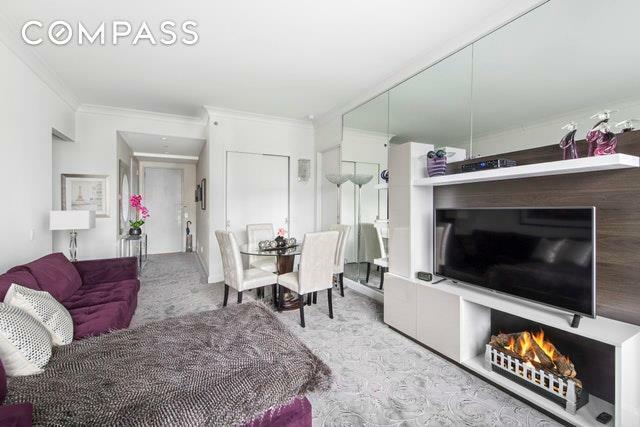 Move-in Ready, Fully Furnished Pied-A-Terre or Investor Opportunity! This charming 1 bedroom 1.5 bathroom welcomes you in through its gracious foyer. 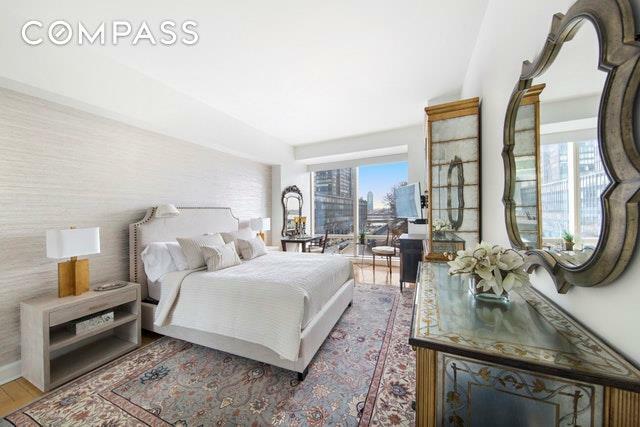 The 10-foot ceilings with floor-to-ceiling windows offer massive eastern views of The United Nations, its gardens and the East River.With plush interiors, this inviting home is perfect for a primary home, pied-a-terre or an investor's prime opportunity. Upgrades have been done through the home, including kitchen appliances. The home is equipped with automatic shades throughout and washer/dryer. 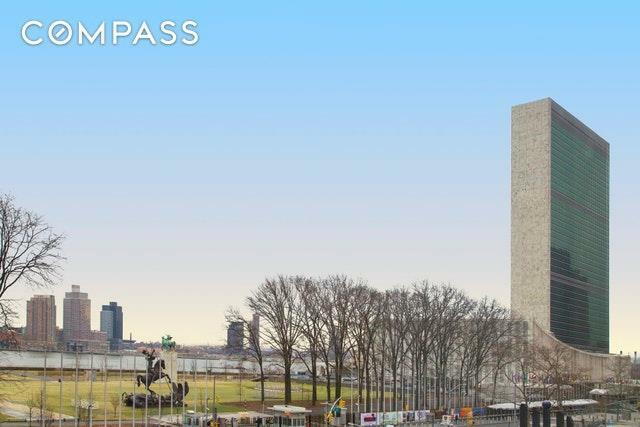 845 United Nations Plaza is a five-star condominium tower surrounded by lush gardens and a park. Residents enjoy a long-list of premier amenities, including valet parking from the building's private drive; 24-hour concierge and doorman service; a landscaped garden and courtyard; private spa and 5,000-square-foot fitness center with 60-foot swimming pool; and private wine cellars.Located in prime Turtle Bay/ Midtown East directly across from the U.N. and within easy reach of Grand Central Terminal, MacArthur Playground, Urbanspace Food Hall, Dag Hammarskjold Plaza and the rest of Midtown. 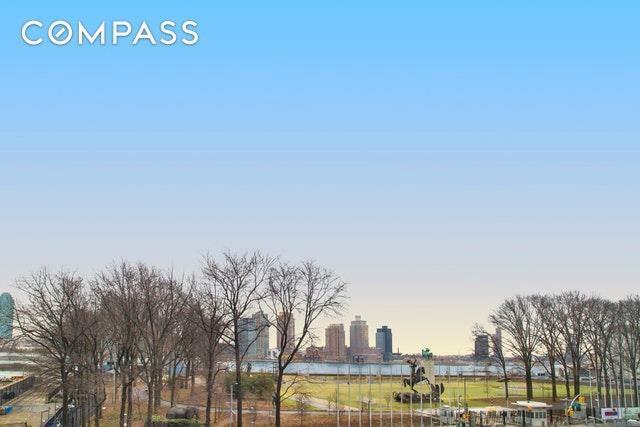 Easy access to E, M, 4/5/6, S and 7 trains and the East 34th Street ferry landing. Easy entry onto northbound or southbound FDR to Midtown tunnel, Queensboro Bridge or Triboro Bridge for easy access to JFK and LaGuardia.